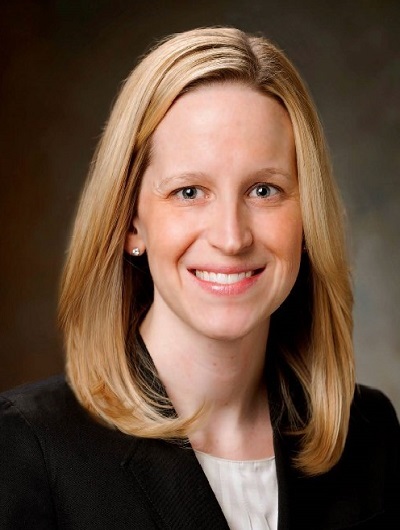 Please join us in congratulating FIRST’s 2015 Research Grant recipient, Dr. Brittany Craiglow of Yale University. Dr. Craiglow, a tenacious supporter of the FIRST community, was awarded a $50,000 research grant for her collaborative study of newborn and early childhood complications and comorbidities that accompany the ichthyoses. Dr. Craiglow notes, “At present, there is no standard of care for the management of babies and children with these disorders and therapeutic options are limited.” She also states that her intention for the study is to offer investigators an enhanced understanding of these complications and establish an accepted clinical standard of care that could be tailored to the genetic diagnosis. “The study may also ultimately provide a foundation for the development of targeted therapies,” said Dr. Craiglow. At the onset, the research will focus on four areas of interest: growth and development, electrolyte disturbances, infections, and medical complications of the eyes and ears. Dr. Craiglow is an Assistant Professor of Dermatology at the Yale University School of Medicine. She is a pediatric dermatologist with a special interest in ichthyosis and other inherited disorders of keratinization. She is very much looking forward to collaborating with many members of the FIRST Medical and Scientific Advisory Board on this important project. Additionally, Dr. Craiglow is a member of the Yale medical investigative team, studying Topical Tazarotene for the Treatment of Ectropion. Learn more about the research process and conclusions. Dr. Craiglow, is also in collaboration with several members of the FIRST Medical and Scientific Advisory Board and the Pediatric Dermatology Research Alliance Disorders of Cornification Working Group, is conducting a study of newborns with ichthyosis. This project will follow babies with ichthyosis over time in order to better understand the natural course of ichthyosis in infants and children and to examine how specific genetic mutations affect clinical characteristics. If you have a baby with ichthyosis and are interested in being part of this study, please contact study coordinator, Erin Loring, MS CGC at erin.loring@yale.edu. There is no cost to participate.